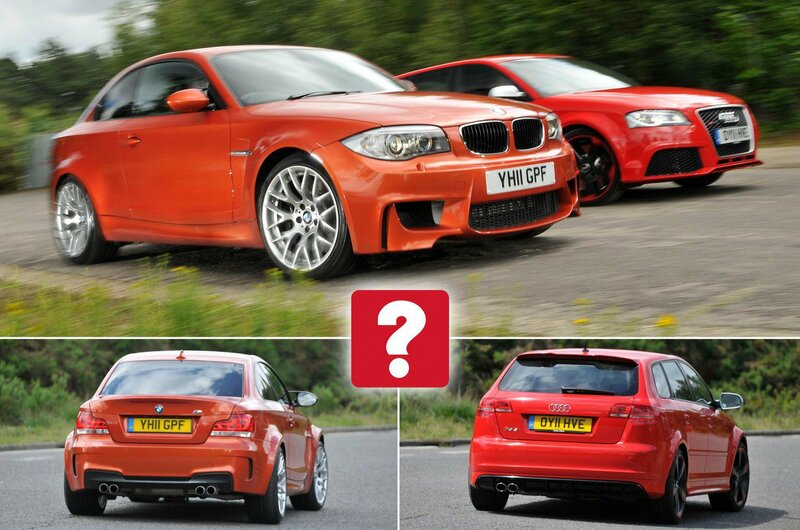 Used Audi RS3 vs BMW 1 M Coupe | What Car? 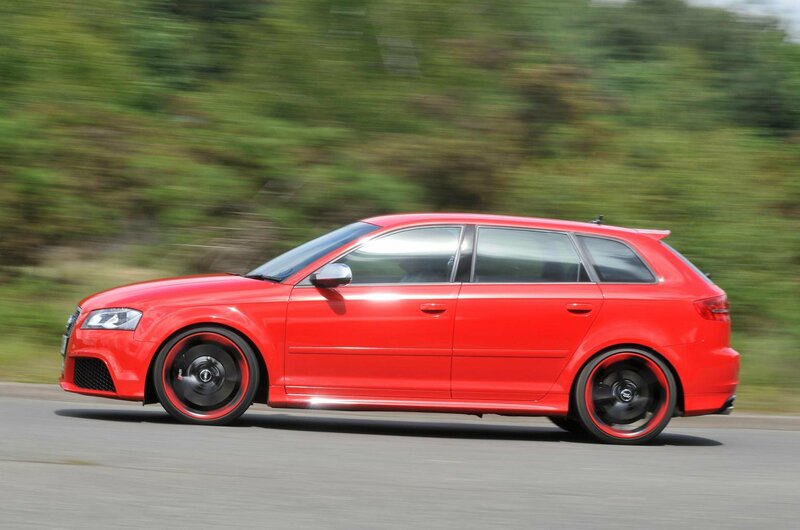 The Audi RS3 Sportback should be a performance car for every occasion, with four-wheel drive and five doors. A rip-snorting straight-six engine, light weight and a taut chassis should make the 1 M Coupe a BMW M car to remember. In 2011, Audi and BMW both grabbed two bread-and-butter machines and stuffed them with an automotive cocktail of anabolic steroids and neat caffeine. It’s proven an addictive mix. 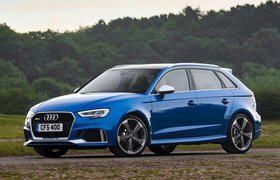 The resulting cars – the Audi RS3 Sportback and BMW 1 M Coupe – have accrued a considerable following. However, of the pair, it’s the latter that has achieved true cult status – and nowadays, you’ll actually have to pay more to buy one used than you would have done when it was new. Some buyers might baulk at that. Especially when they find out that the RS3 Sportback is today available for half the cost of the BMW – and that it offers two extra doors, a hatchback boot and the all-weather appeal of four-wheel drive. 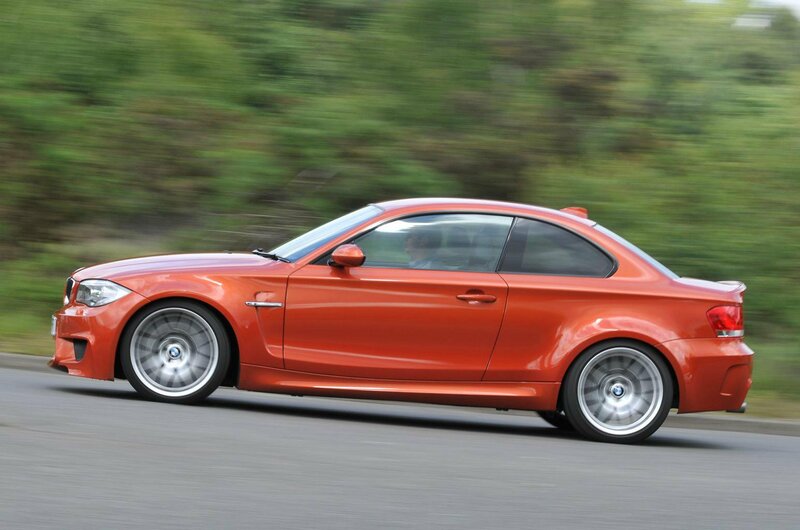 Can the 1 M Coupe really justify its extra expense? Well, that’s what we’re here to find out. The RS3 borrows its 335bhp turbocharged 2.5-litre engine from the TT RS and, like every RS Audi before or since, it channels its power through all four wheels. Combined with the Audi’s launch control system, this means the RS3 can fire you off the line with savage force yet little drama, all backed up by an evocative five-cylinder blare. The standard seven-speed semi-automatic gearbox swaps ratios in a fraction of the time you could manage with a manual shift, all of which means the RS3 is ultimately the quicker car in a straight line. Even with all that performance, though, it isn’t much fun. It’s especially disappointing on a windy road, despite there being loads of traction and grip. That’s because the slow-witted and vague steering leaves you removed from the experience. The BMW couldn’t be more different. It’s lighter than the RS3, and much more agile. Its steering is sharper than the Audi’s and tells you exactly what’s happening at the pointy end. The stiffer suspension also keeps the 1 M flatter through corners, although the ride is firmer than the RS3’s. The BMW’s twin-turbocharged 3.0-litre six-cylinder engine has exactly the same power as the Audi’s motor, and it belts out performance that can frighten many a Porsche 911. It’s more responsive than the five-pot engine in the Audi and howls gloriously when revved. All the power goes to the rear wheels through a six-speed manual gearbox that’s a joy to use. The 1 M is a great driver’s car, but be aware that the back end can be pretty flighty, especially in the wet. Still, the stability control system will save your blushes.